What Ever Happened to Software Quality? in products from leading software vendors! Organizations are finding that their multi-tiered object-oriented web-based applications, like the 10,000 statement monolithic spaghetti code of a generation ago, are turning out to be painful maintenance nightmares. The cost of maintaining such programs over their lifespan is several times what it ought to be. So-called Quality Assurance functions are surprisingly often indifferent to the actual quality of software. Highly modular program structure, based on classic notions of minimal repetition, high cohesion, and low coupling. He will conclude by examining some causes of these shortcomings and recommending practical ways of minimizing their impact. Conrad Weisert is a consultant and educator specializing in software development methodology and project management. He is president of Information Disciplines, Inc., a Chicago-based consulting company. He holds an MS degree from DePaul University in Computer Science (Artificial Intelligence concentration). He publishes articles and books on both managerial and technical topics, most recently Object-Oriented Computation in C++ and Java, Dorset House, ISBN 978-0-932633-63-7. 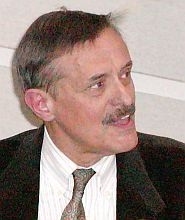 Conrad Weisert is a long-time member of the ACM, and served as Chicago Chapter Chair in 1973 and 1994. He has taught academic courses at several institutions, most recently at Loyola University, where he will be presenting I.T. Project Management this summer.